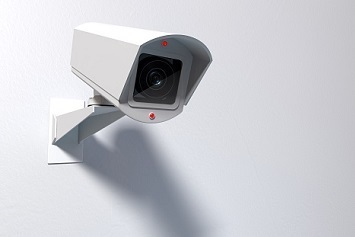 Although it may sound counterintuitive, the only thing worse from a liability standpoint than no security cameras at a site are fake cameras in their place. Business owners or facility managers may not understand the inherent liability dangers of installing fake cameras in the hopes of saving money and not having to monitor or record them. A similar approach is when a security camera breaks but is not replaced and is left in place, in the mistaken belief that it will deter potential criminals. However, case law exists where organizations have been sued successfully for installing fake cameras or not repairing damaged cameras when the plaintiffs were attacked and believed that because the camera was in place, there would be a response to save them. While this may sound far-fetched, plaintiffs’ attorneys have prevailed with their argument that this expectation—that the camera was somehow being monitored by a security officer or was supposed to be recording so that police could have later caught the attacker—caused the injuries to their clients. Some business owners believe that a fake camera will have a deterrence effect without having to spend the money on a real camera and without the need for the accompanying DVR or NVR recordings. Fake cameras are available on Amazon for as low as $8, including the mounting hardware, and they look real from a distance. While we know that banks and convenience stores still get robbed despite sophisticated camera systems with clear images of the robber, cameras still offer some deterrence value and make it easier for the police to investigate these crimes. But if all that is true, why would some business owners or facility managers want to install fake cameras or leave broken ones in place? Besides the obvious substantial difference in price between a real video surveillance system and fake cameras, is it a privacy concern where the business owner doesn’t want to “spy” on his or her customers or employees? Some employees feel uncomfortable working in an environment where they are being surveilled, and they may be able to convince their bosses not to install cameras because they believe it’s against their civil rights. Or, the business owners may not realize how far the technology has evolved, that the prices of the cameras and the installations have come down (including do-it-yourself systems that can be installed and running in several hours), and that there is no longer a need to swap out a series of VCR tapes, marked “Day 1” to “Day 31,” as in the years past. Security consultants and practitioners who advise their retail clients should research the related civil cases in their states for examples where the continued presence of broken cameras or the installation of fake cameras lead to awards to the plaintiffs in crime or assault cases. Security consultants and practitioners need to discuss the related liability concerns with their clients and call for the immediate removal of broken or fake cameras.